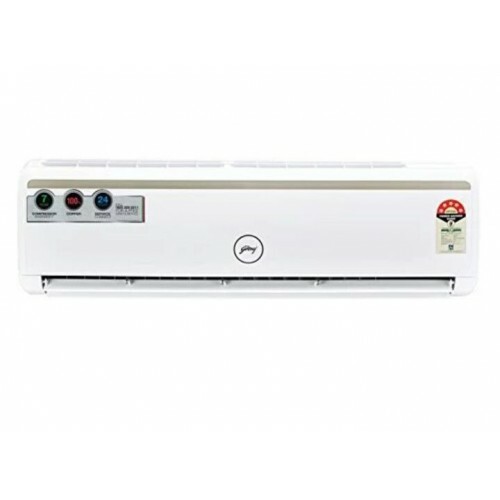 energy efficient machine, this AC from the house of Godrej, has many user friendly features that bring along comfort with the cooling. A 5 Star (2017) rating implies that the air conditioner would use less power. Energy Rating: 5 Star Rating (2017). Note that as per Bureau of Energy Efficiency (BEE), there is 2 point energy rating drop in 2018 for non-inverter split ACs. E.g. a 2017 5 star non-inverter split AC will become 3 star in 2018.